Tis the season to count down the days, slack off at work by researching hotels on TripAdvisor, and pack your bags... for vacation! Where are your favorite places to visit on a regular (repeat) basis? Why? What is your favorite vacation of all time, not necessarily a place you go to on a regular basis? My favorite repeat spot is the Smoky Mountains of Tennessee and North Carolina. It's less than a 5 hour drive from where I live, lodging is cheap (3 bed, 3 bath delux townhouse for less than $100 a night? can't beat that! ), and hiking in the national park is free and beautiful. My favorite vacation of all time was to Granby, Colorado when I was 16. My grandma took me out to a "dude" ranch for a week, and we travelled by Amtrak. I rafted the Colorado river, rode my horse every day, won second place in a barrel racing competition in a rodeo, and got to visit Rocky Mountains NP every day (on horseback). The western National Parks are something I really want to take my own kids to someday. Is it obvious that I would take the mountains over the beach any day of the year? 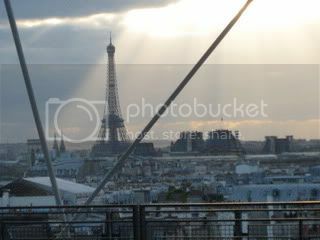 Paris- the entire city is absolutely beautiful. Napoleon the III tore down the whole city and rebuilt is so 85% of the city matches so you have this lovely city made up of creamy buildings with blue-gray slate roofs. The food is awesome, the wine is awesome, the history is awesome, the shopping is awesome! The Euro is dropping in value thanks to Greece so this fall will be the best time in years for a trip to gay Paris! Brazil!- despite having a ridiculously difficult visa to obtain (start early is my advice!) Rio de Janeiro is so wonderful! A city with a beach, a mountain, a rain forest and a lake all within 5 miles of each other is a one of a kind! The food was memorable-- my husband still dreams about the food! Fresh fish, traditional Brazilian stews, Brazilian steak houses...I could go on and on and on! 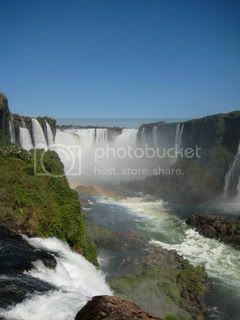 The best thing I saw there, though, was Foz de Iguasu...a fabulous waterfall at the border of Brazil and Argentina. San Juan, Puerto Rico- The mix of modern and old in this city is really fun. Old San Juan reminds me so much of a clean, New Orleans! The food is soooo good (do you see a trend here?!) The plantains are yummy (try the tostones or the green plantains if you want something sweeter.) Take home a Three Kings or Don Quixote figurine to remind you of your trip. There's a bioluminescent bay not too far away for a night cruise. Day trips to El Yunque are great, too. All this, and you don't even need a passport! Last edited by AOII Angel; 05-14-2010 at 10:42 AM. Cape Cod (aka The Cape) is our regular spot. We usually share a house with my sister and her family, one block from the beach (walking distance!). We usually stay in Falmouth, which has a bike trail to Woods Hole (where you take the ferry to Martha's Vineyard). We usually get in a day trip to MV or Nantucket (I've stayed on both islands already - been there, done that). We spend every day (or part of) at the beach. Heavenly! My favorite spot is Puerto Rico. We went several years ago and it's just amazing. 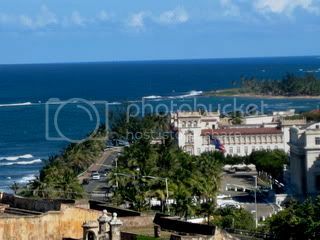 PR has the only rain forest in North America, and Old San Juan is gorgeous (love the above pic!). The fort was amazing, we have such beautiful pictures of our time there. This thread is making me itch for a vacation!! Favorite repeat vacation is good ol' Hilton Head My aunt used to have a timeshare down there so we would go every year. Since she's died we stay at a super nice place on the harbor side. I just really enjoy being down there and sitting on the beach for the majority of the week. We also usually do a city trip while we're there, either to Savannah or Charleston. I adore both. My favorite trip of all time was Mackinac Island. They don't allow cars on the island, which I thought was so cool. We stayed at the Grand Hotel and the food was amazing. I loved dressing up for dinner each night. They also have the longest covered porch and I would sit out there and just visit with people. They have an old military fort that we took a tour of too. We learned how to drive a horse and carriage, which was awesome. They also have a huge national park and a pretty nice golf course. I would love to go back. It's also really cool up there and I'm not a heat person so 70s in August was great! My friend got married there. We were all a little annoyed because it made it completely impossible for any of us to get to her wedding. You can't just fly into Detroit and get there in one day. She ended up with one person from our program at her wedding...hope she wasn't offended, but none of us could take vacation to go to her wedding. It's a shame, because it does look like a really nice place! idk where on the island she got married at but I want to get married there soooooo bad. They have the little stone church and all the money you pay for your wedding there goes to the graduating class (usually one or two kids) so they can go to college. Most of the people who live on the island year round are pretty poor. BF, however, feels the need to invite his entire extended family (all 2 million of them) so it looks like I'll need to find an alternate plan lol. She had it at the resort. Before we all finished residency, she made us all promise that we'd go to her wedding, then she popped up with Mackinac island. We felt bad for not going, but none of us could actually get there in time for the ceremony. How did I know someone was going to mention the Cape? Because it's close, it's affordable, it has a variety of towns and experiences, and it's nice? We've stayed in Chatham, Hyannis, Orleans, Dennisport and Falmouth, and of course, Nantucket and MV. If you live there, I know you have a different experience. We had friends in Orleans and though their business was dependent on tourists, they loathed them. The Cape definitely has two personalities, tourist season and winter. I don't mind tourists too much (as much as I used to), my real peeve is people that rent or own property for the summer and then claim to live there. Sure, from the months of May to September you may live in Falmouth/any other town, but you live in a suburb of Boston for the other months of the year. IMO if you aren't here for all of the off season, you aren't a Cape resident. I love the Cape though, the summer definitely brings a lot more to do. Unfortunately I won't be here because I'll be performing all summer with the Spartans Drum & Bugle Corps. At least I get the middle to end of August and early September when it's still nice out. I've always wanted to do Cape Cod, along with coastal Maine, and the rest of NE. I'll do them all in the same trip someday. My grandparents go up there every fall. My mom and her husband are actually going to Mackinac island next month. It'll be their first trip, they're really looking forward to it. I grew up in a super touristy northern Ohio town right on Lake Erie, so I can empathize with the love-hate relationship with tourists. In winter, the town dies, and summer... it's insane. My favorite repeat spot is Sanibel Island, just because my parents have a home there so we used to go frequently when my siblings and I were all kids and those are some of my best childhood memories. It's so beautiful and relaxing! We still go when we can, though not as often, and I really miss my old family vacations. My favorite of all-time? Probably Ireland. It's just so so so pretty and everyone I met was so kind. St. George Island, here in Florida is our go-to spot. LOVE it! One of the best vacations we've ever taken though was to Xcaret in Mexico. Really great. The Grand Hotel? It's super, super nice. That's where I would do a small reception if I got married on the island. Where were you guys coming from? We did the trip in two days on the way up, driving from Cleveland, and then one day on the way back to Cleveland but it's a super long drive. We stayed at a really nice bed and breakfast on the way up.